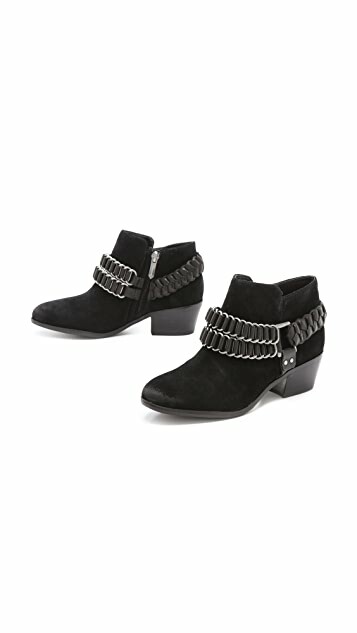 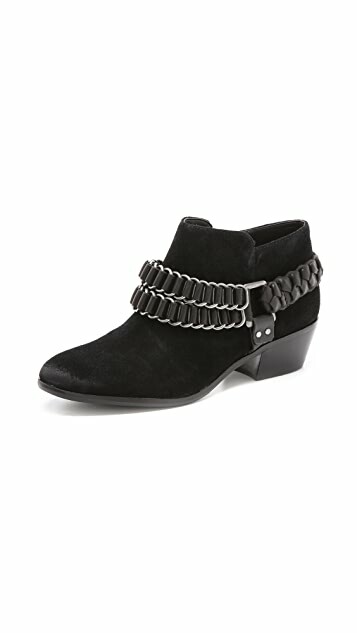 Braided leather and chain straps wrap the uneven shaft of rubbed suede Sam Edelman booties. 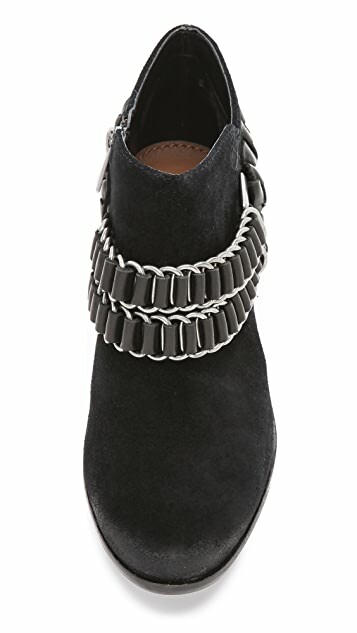 A lightly scuffed toe lends a worn finish, and a covered zip closes the side. 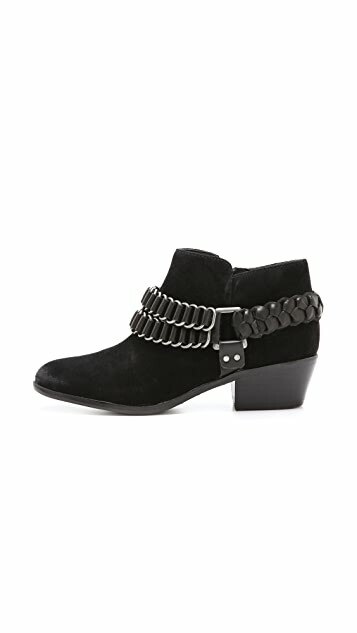 Stacked heel and rubber sole.